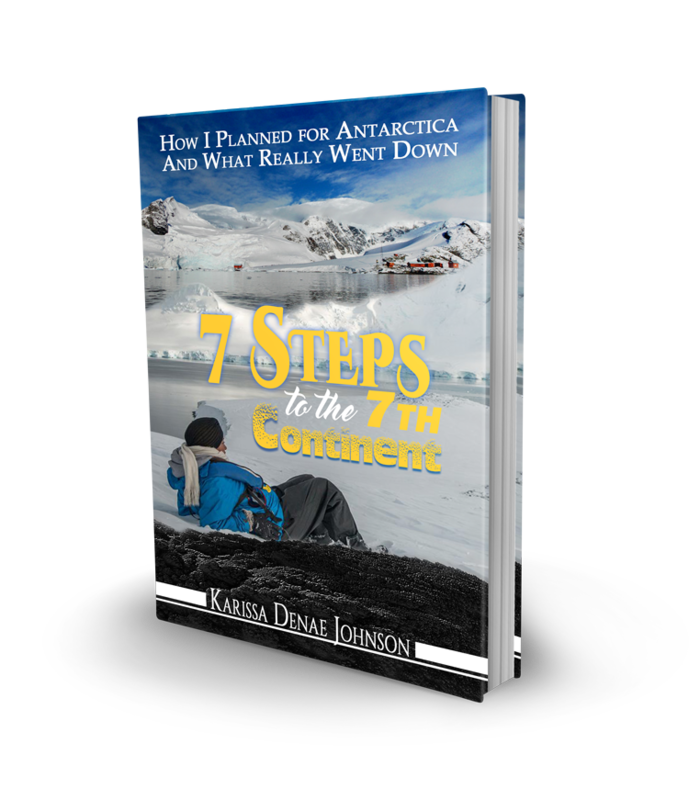 7 Steps to the 7th Continent is an account from a newbie traveler venturing off to a sacred, mysterious land. In this lighthearted and inspirational how-to, Karissa Johnson walks readers through how she slipped, tripped, and finally cruised safely to one of the most remote places on Earth–Antarctica. Her adventure to get there nearly matched the adventure that she met once she arrived to the frozen continent. If you’ve never thought you’d be interested in visiting, Antarctica, 7 Steps to the 7th Continent will make you think again. Join Karissa on this journey and see how her short, vivid expedition may inspire you on your next one. “There’s a famous Swedish poem that declares that even though one has goals and destinations, it is the journey itself that’s worth the struggle. I don’t know if Karissa has ever heard this verse, but she’s definitely lived it. “Total silence, watching true wildlife in their essence. Waking up to stunning views and getting to know people from all over the world, each with different backgrounds but one goal: to see (and live) the Frozen Continent. “A truly motivational and informative book about committing to your goals and the joys of experiencing your hard work and sacrifices come to fruition.